KIEV, Ukraine -- Social tensions are growing in Ukraine. Thousands of small businesses across the country have come together in recent weeks, in various cities across the country, to protest the government’s proposed tax code. The situation is highly explosive. The International Labor Organization, a body of the United Nations, put Ukraine on the list of the countries with a high risk of social instability. In contrast, France and Greece, where direct confrontations with police are taking place, are now rated as moderately instable. The same can happen in Ukraine. But how has Ukraine’s government responded to our protests? The government shut their eyes to it, insisting the protests were politically motivated. To see the truth, all they need to do is open their eyes and see who is taking part in the protests. People flocking to the protest also come from the eastern and southern regions of Ukraine which have been traditionally loyal to Viktor Yanukovych, his Party of Regions and helped elect him as president this year. In fact, the largest protests have materialized in Yanukovych territory. It comes as no surprise, because voters in these regions truly believed Yanukovych’s promises as a presidential candidate to deliver on “tax-free holidays” for small and medium-sized business for five years. He promised it. He is failing to deliver it. And as you know, it’s just one small step from love to hatred. This step has already been made by many financially struggling voters who see their personal well-being at risk. It’s hard to list all of the Yanukovych’s mistakes during his first eight months as president. Attempting to adopt the tax code now, so late in the year, is illegal. According to Ukraine’s tax legislation, any changes to the size of taxes and the order of their collection have to be made at least six months prior to the beginning of the budget year. But laws like this didn’t prevent Yanukovych’s government from introducing payments to the pension fund, angering many private entrepreneurs who are already pensioners and promising to adopt the new tax code two months prior to the new year. Dubious moves like this plunge Ukraine to the lows in international ratings in terms of the ease of doing business in a country. Such action strengthens the perception that Ukraine is a country with unforeseen regulatory policies. The government’s policy on businesses with private entrepreneur status is bad and will backfire. About 80 percent of private entrepreneurs that paid taxes within the flat tax system were not, until the recent Oct. 20 deadline, required to make payments to the pension fund. For the majority of small private entrepreneurs who operate in the small town or rural areas, the extra Hr 300-400 payment that they will now need to make to the pension fund on monthly basis eats up one third of their monthly income. With such action, the government is simply pushing them into the shadows. The government doesn’t understand the consequences of their policies to Ukraine’s economy. That’s the only way to explain tax changes they plan which would freeze cooperation between small businesses that operate on a flat tax system and businesses that operate on the general taxation system. The function of the small business is to create the work places and to quickly meet market demands. But the government does not seem to understand or care. The proposed tax changes will severely hit small businesses. All the small cleaning and catering companies, self-employed lawyers, human resources specialists, auditors and marketing specialists that didn’t ask anything from the government will be brutally squeezed out of the market. The biggest absurdity is that the proposed new tax code won’t bring more money to state coffers. What they will “achieve” is to destroy six million workplaces created by small businessmen that operate on the flat tax system. Does Ukraine need this huge army of unemployed? Will people just sit idle when they see how their well-being is destroyed? I doubt it. Small business has made many attempts to express its opinion in a less radical way. 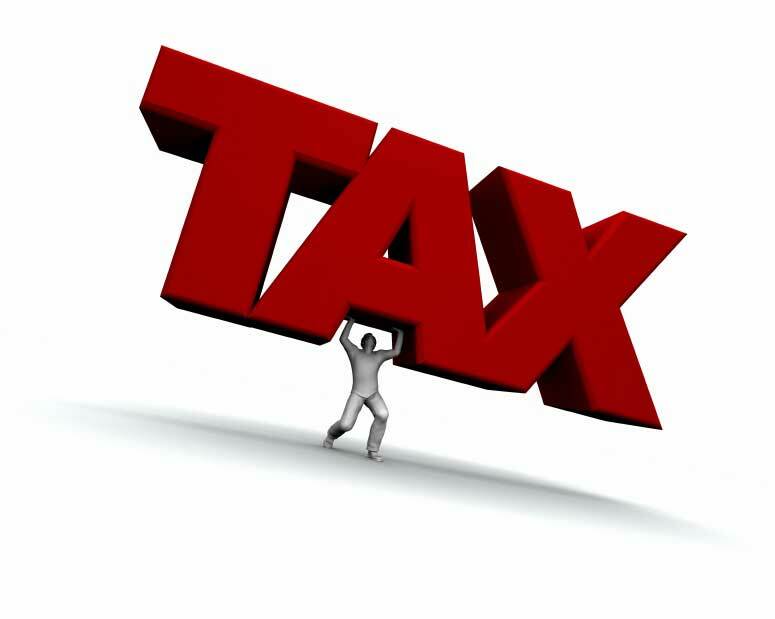 Since the draft of the Tax Code was made public, thousands of amendments have been proposed. But most of them fell on deaf years. The president and the government have very little time to stop their flywheel. Otherwise, on the eve of the regional elections, Ukraine will face a wave of the mass protests. A victory of the Party of Regions would look very strange on the background of such events. And all of this would occur on the backdrop of the 6th anniversary of the Orange Revolution, which was empowered and motivated by the same middle class that the government now ignores. If Ukraine’s government is not feeling the deja vu already, they will soon face it.